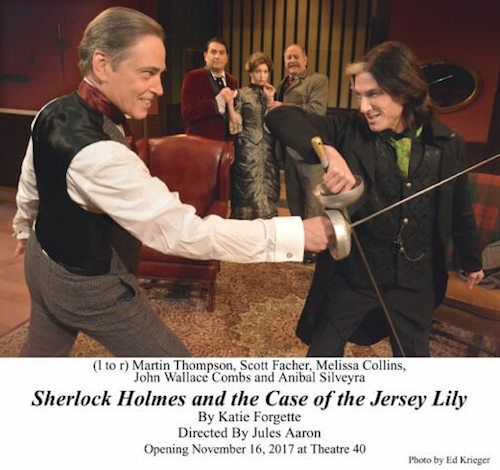 The wit of Oscar Wilde meets the cunning of Sir Arthur Conan Doyle when Wilde brings his dear friend, Lillie Langtry, to Baker Street. 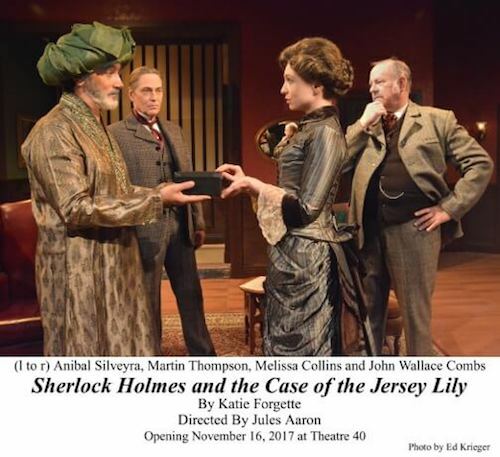 Someone has stolen the highly intimate letters Lillie exchanged with the Prince of Wales, and now she is being blackmailed. 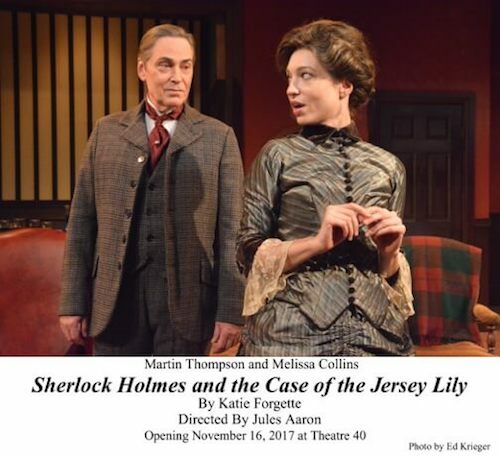 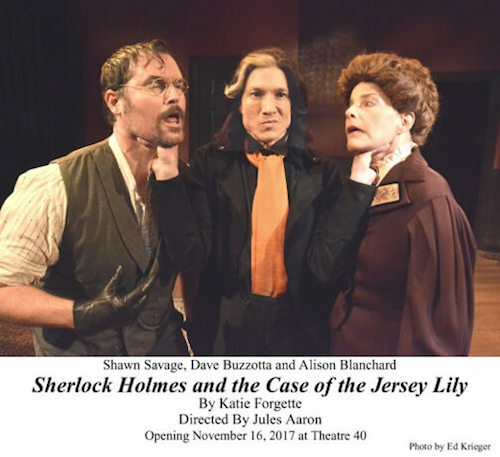 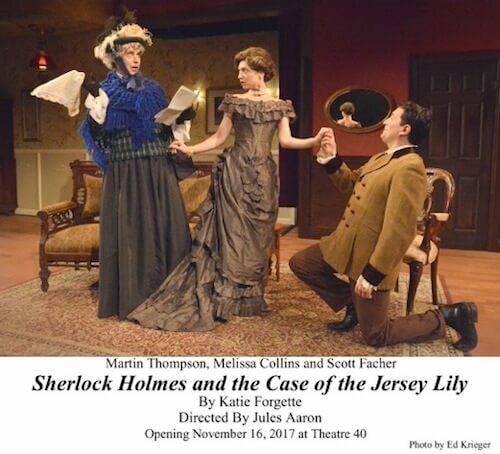 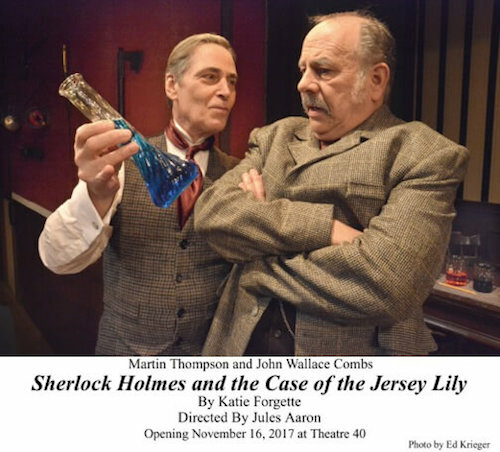 Only Homes can solve the case, going so far as to disguise himself as an early version of Lady Bracknell from Wilde’s latest play, The Importance of Being Forthright, while Watson falls head-over-heels for the Jersey Lily and a wicked professor attempts to bring the Crown to its knees.